World's Greatest Places: Mosaics 2 is a chance to (virtually) travel the world, challenge your brain with all kinds of puzzles, and learn new trivia facts about the places you visit. The first game of the series has gained the love of quite the following. This second installment will not disappoint the crowd as well! There are four modes of difficulty (Casual, Normal, Expert, and Custom). 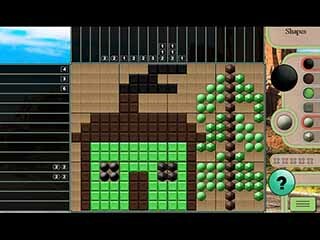 World's Greatest Places: Mosaics 2 offers some of the best variations of mosaics puzzles. You might actually play some of them for the first time! Unfortunately, you can not choose just one type if you happen to have a favorite one, you have to play them the way they come. What you get to choose is the difficulty level for the puzzles. There are four modes of difficulty (Casual, Normal, Expert, and Custom). It is nice to have one customizable mode and choose the timer setting, hints recharge time, the number of mistakes allowed, how the numbers are crossed off etc... The grids can be one color or three-color ones. One of the types includes different shapes that come with the number. In each level, you get to choose the order in which you play the puzzles. The game gives you all kinds of information about the places you visit. The developers have done a great job turning this old game into an upgraded new mosaics game! Give this game a try to keep your brain working and challenged! 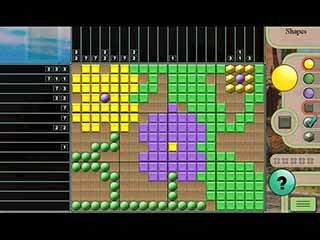 This is World's Greatest Places: Mosaics 2 review. Download this game here.